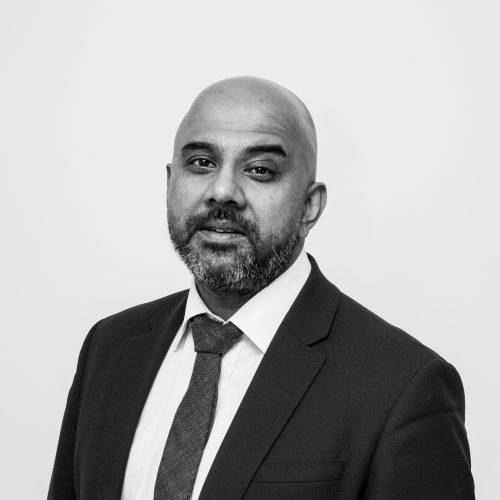 Vishal has very successfully established branches for European Construction Consultancies in India, the Middle East and Africa, whilst also building an extensive network of contacts across these regions. As a highly effective leader he excels at building successful cross-discipline teams for the delivery of construction projects across many sectors ranging from residential, through to high rise and Commercial, Hospitality & Leisure, Education and Infrastructure. Studied at University College London as an undergrad and post graduate. During my professional career I have worked for the likes of AECOM and Scott Wilson and internationally within India, Singapore and MENA. To provide a “hands-on” collaborative leadership approach whilst working closely with our clients to deliver an exceptionally high-quality design led consultancy service. We deliver the very best through partnerships with clients and other professionals within the team. These are people who often help to drive excellence and provide motivation for us to constantly push the envelope and challenge the norm. This for me is what sets us apart from our competitors within the consultancy arena. Whether it’s a design challenge, a cost challenge or a construction challenge, we are problem solvers and I hope I can contribute by bringing some of that passion to deliver design excellence. A young family currently takes priority but in my spare time I can be found on the golf course, preferably a tough seaside links. I love spending my time playing or watching sport and socialising! I am a keen traveller with a love for the Far East and a big supporter of Liverpool FC.